An elderly ill woman lay on the floor for two hours at Geraldton Hospital. The story behind "disgraceful" image of 84-year-old woman lying on hospital floor. With nothing but a thin blanket and pillow, an ill 84-year-old woman is lying in the corridor of WA’s Geraldton Regional Hospital. The image doesn’t show that she laid there for two hours. There were no beds available. The photograph was posted on Facebook on Thursday by the woman’s frustrated son Neil MacLachlan. 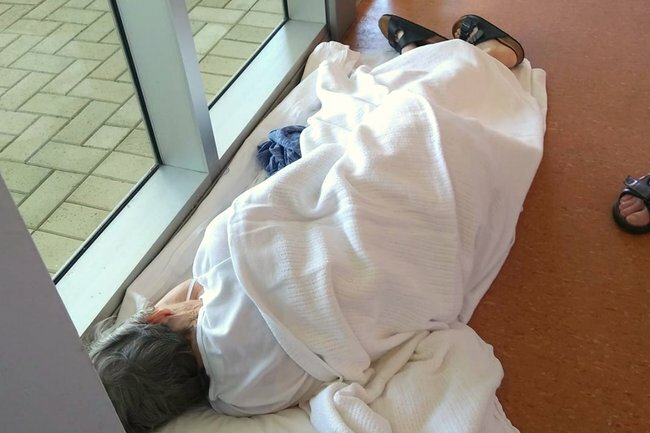 “84 yo woman forced to lay on floor in doorway while waiting for treatment at Geraldton Regional Hospital due to no beds available…. Disgraceful! — feeling disappointed at Geraldton Regional Hospital,” he wrote alongside the photo. According to the family of the woman, who does not wish to be identified, they brought her to the hospital after she complained of kidney pain so severe, she was unable to sit upright. Lying down was the only position that gave the woman relief, however, hospital staff said there were no beds available, the ABC reports. Eventually, nurses found the woman a bed in the corridor. 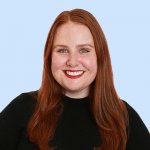 Speaking to the ABC, the woman said she won’t be making a formal complaint against the hospital, but that she hopes what happened to her and the resulting photo will send a message to the government about health care in Australia. “I was relieved actually [to be on the floor], it was not the most comfortable but I was relieved to be able to lay there as I couldn’t sit in a chair,” she said. MacLachlan’s Facebook post, which has been shared over 3,000 times since it was posted, attracted the attention of Health Minister Roger Cook. “I have just spoken with your mother on the phone and apologised unreservedly as Minister for Health,” he wrote in a comment on MacLachlan’s original Facebook post. Throughout the reporting and conversations surrounding the image, the hard and often thankless work of hospital staff stretched with limited resources has been commended. According to the ABC, Geraldton Regional Hospital has been particularly affected, with the hospital going into code yellow on five occasions in 2018 due to a lack of beds. As well as people like the woman in this photo who have to wait untreated and in pain, more than 400 elective surgeries had to be rescheduled or cancelled because of the problem. Although the WA Government has committed $73.3 million to upgrade the Geraldton Regional Hospital, construction won’t begin until 2020. Unfortunately, this promise does nothing to help the vulnerable people who will have to lie on the floor of the hospital this summer.